← What If This Thanksgiving Was Your Last? Ronan passed away peacefully on Thursday, Feb. 15th at about 3:30 am in Santa Fe. He was surrounded by friends and family. I’m so sorry. I’m mourning with you today. My heart is breaking for your family. Ronan is beautiful and brave. Sending healing thoughts of peace, with deepest sympathy. Emily and everyone who had the privilege to know and love Ronan, my thoughts are with you. Thank you for sharing him…never has anyone that I haven’t met touched me so profoundly. With respect and sorrow from a stranger who has followed this journey in awe of your courage and Ronan’s. What a beautiful little boy. What powerful love from his mother. The beautiful boy blessed so many and touched us all. He now begins his next journey. Deepest condolences on the passing of your angel. Tears, love, and prayers. RIP Ronan. I am so very sorry for your loss. I know there are no words but I couldn’t read this and say nothing. My eyes filled with tears as I read of Ronan’s passing. Even though I only held him once, his life has forever touched my family. This separation is but for a small moment as one of God’s angels has returned home. Our thoughts and prayers are with you, Emily. We morn with you and send our love to your family. Thank you for sharing Ronan’s life with so many. We knew him through your blog and are blessed for having been a part of his life and yours. Much love and caring, Emily. I have been blessed by your writing of your journey with Ronan, and powerfully touched by your love for him, and your sharing of your beautiful boy’s life. My condolences are winging their way to you in your sadness. oh! I’m so sorry. I’m sitting here with my rainbow baby daughter, knowing what it feels like to loose a son. I have to explain to my little girl what Tay Sachs is and explain what a special life Ronan got to have. I get to explain to her how many lives he, his Mama, and Papa and all those who wrote and read about his life, were so touched by their love and strength. My tears run down my face obscuring the screen. I type blind. I am so sorry to his family to have to feel his loss. So very very sorry. I hope that through the outreach that they have already done that they will find love and support everywhere they go. I am so glad I got to know Ronan, little seal, and share his life. Always and forever…beautiful. You don’t know me, I follow Jennifer Pastiloff and have heard your story through her. I just wanted you to know that though we don’t know each other, and I Cannot imagine what you and your family are going through (as I wish you couldn’t either,) I still wanted to give you something. 1. Today I gave my meditation to you. 10 mins of my thoughts to you and your family. I’ve been sick and barely able to breath but today it all cleared up with thoughts of you. I was breathing strongly and clearly in the hope that it would fill the lungs of you and your family as you cried, or screamed or perhaps fell silent during this time. I know it can feel like your wind has been taken in times like these. I wish you to have some of mine. Breath to the memories of your dear little one. 2. A smile. You may not want it now, or a year from now. Just know you have it whenever you need it. A smile is so simple and yet very powerful in the hardest times. I only hope it comes in handy to you at some point to bring in a little sunshine. 3.LOVE. Love is to be shared with everyone and there is always more than enough to go around. I give love to you and your family. Love to your dear little one. Love to the spirit of the time you all shared together. Love to the time that was stolen. Love to the life you and your family still have to live. And of course, love with no reason. Just for you do do what you want with. My few tears are nothing compared to the sorrow you feel. I do hope that these three things will bring something, anything of good and healing to you and yours. You don’t know me, but you touched my heart and life so deeply with your stories about your amazing little boy that I just couldn’t say nothing. Ronan reminds us all to love. Just love. Deeply and fully and unconditionally, with all our hearts, and as a mother that is the most important thing I can do. Thank you for sharing your life and Ronan’s with us. I wish you peace. We are thinking of you, sending you love and holding you all in our hearts. Ronan’s story, you and your family’s story, has touched my life… in ways I do not yet fully understand. Your beautiful boy is only nine months older than my little girl. I am heartbroken for you. Strength, Health, Serenity and LOVE. I sit weeping half a world away in South Africa. Emily’s writing has resonated with me in so many ways . My thoughts are with you. I’m so very sorry for your loss. Words fail me. Just another stranger who has been deeply moved by your writing, and so very sorry for your loss. My heart goes out to you. Praying for peace for you and your family during this difficult time. I am so sorry. I continue to hold you all in my prayers. Emily – Thank you for all that you shared, so willingly and so beautifully. Ronan was blessed to have you for his mother. Rest his little soul. I am a better mother, person, friend because of you. Thank you. May there now be peace for you all. I am so very sorry. My thoughts are with you and Ronan and your family. I am among those who have followed this incredible story and those who have been forever touched by Ronan and his brave mother. Praying for peace for you all. I have been seeing the beautiful pictures of your child. I send my families thoughts and prayers. Thank you for sharing your story, and for sharing your beautiful son’s life. My sincere sympathies. We, too, are bereaved parents. What an absolutely beautiful child. I’m very sorry for your loss. My words cannot describe. There is a place somewhere and we connect to there through our hearts. I hope Ronan is in that place now. Go well. Another reader here to say: I am so sorry for your loss. He is so beautiful. I have only started reading your blog yesterday. This is too sad. I can’t stop crying. I am so sorry. It has been my great privilege to “know” Ronan through your words. I’m so very, very sorry for your loss. I’m familiar with your writing and though I don’t know your family, I am terribly sorry for your loss. Thinking of your lovely boy and hoping you find peace. Love being sent to you from a stranger who has followed your story since reading the Dragon Mom piece in the Times. I checked in here regularly to read your beautiful writing and see pictures of your precious boy. Thinking of you, of Ronan, of all your family and friends. From one mother to another…I am so sorry for your loss. I have followed Ronan’s story and am heartbroken although I never had the privilege of meeting him. I grieve for you for the loss of your sweet boy and hope that you find comfort in knowing that although his life was short it was filled with your endless, unconditional love. I believe that God takes special care of the little ones and that Ronan will be happy, loved and have a lot of fun while he waits to be with you again. Another parent who knows the sorrow of losing a son. The heartache. I have a daughter now who is the same age a Ronan was. Sigh. Just hugs and hugs for you and I am so sorry. Ronan was beautiful in all senses. Thank you for sharing him with us. A line in the kaddish: “still you remain beyond the reach of our praise, our song,/ beyond the reach of all consolation. Beyond! Beyond! Like many here, I never knew you, Emily-I read your beautiful essay on transcendance in female friendship a year ago and have followed your story since. As the family member of relatives who are working each second of each day to give their nine month old daughter a “Wonderfull” life before she passes away too soon from Niemann-Pick Disease, Ronan’s story hits too close to home. There are no words to describe or remove the pain, rage, and fear I’m sure you’re feeling. Nonetheless, his little life was worth its weight, and has transformed all of our ideas about the value of life in this world. As you’ve written many times, Ronan won’t play varsity sports or at Carnegie Hall. He won’t graduate from Harvard or have his own children. But the outpouring of love and thanks for a little boy who couldn’t see or speak, walk or swallow shows that Ronan’s just as precious as people who have achieved all of the above and more. He lived and breathed and MATTERED. His life, while short, had definitive purpose. And thanks to your writing, it always will as he lives on through the narrative you’ve given him. All my love and prayers to you both. I’m just a heartbroken stranger mourning your loss. Weeping. I’m so sorry. Wishing you whatever you need to get through this: strength, the female companionship you wrote about, time pulling you away from the immediacy of your loss. Your boy was beautiful. Sincerely, Another mother. your perspective. It has been a true consolation to me as I journey to the end. What better day for God to take him home after spending a Valentine’s day with you, Emily! You are his forever Valentine! Ronan is in Heaven and I hope one day you will believe so you may join him there…. at that time he is the one with open arms for you. I wrote before but have not seen my post, so I will write again. Emily and family – I am so sorry for your loss. As a parent of a Tay-sachs child, I feel your pain. My sweet Zoe died 34 years ago and sometimes it still feels like yesterday. I am currently working toward my masters in Early Childhood Special Education (early intervention) and last semester an instructor provided us a copy of the Dragon Mom. Many individuals were in tears after reading it, I being the only mother in the program I had a hard time not just falling apart at your beautifully written article. Two days ago I sat down to read my guilty pleasure of Vogue and found an article that read very similar to Dragon Mom… turns out it was because it was, too, written by you. My heart feels so heavy tonight, in finding of your loss. It seems inappropriate to say thank you at a moment like this, yet it is really all I can say. Thank you for being real and honest as a mother. Thank you, to your family for supporting such efforts. And thank you to Ronan for being the child he was. Ronan was such a lovely child and perfect in so many ways. How hard to love so much and be unable to stop death and illness. My heart goes out to you, Emily. You will always be grateful for the love you gave Ronan during his short life. My daughter died at 11 1/2 weeks during heart surgery 27 years ago. It taught me a life is not valued by the length. Losing a child truly is the hardest. So very sorry for your loss. I’m so sorry to hear this. He is a beautiful child My sincerest sympathies. Emily, I’ve been thinking of you so much since I got the news of Ronan’s death. I know you’ve been pre-grieving and preparing for this for so long, but now the day is here where you must live in a world without his physical presence. What a grueling and heart expanding experience you have been through and are going through. I appreaciate so much your sharing your journey of love and grief and questioning and searching and trying to figure out how to survive an impossible thing. Much love to you, sister. I know we’ve never met, but I feel sure if we did we would be fast friends. You have a special gift of connecting with others, and I believe you will use this experience of the beauty and mystery and tragedy of Ronan’s short life to connect with others going through similar impossible journeys, and people like me, just going through my own life, knowing that such things happen. I wish I could take your pain away. I only hope that knowing you are embraced in so many hearts can give a tiny bit of relief. So sorry for your loss. Been thinking of your family since your Dragon Mom piece and will continue to do so. Was made aware of your blog about a month ago and every day that has passed, you and Ronan have been in my thoughts. Words cannot express the pain that I feel knowing and reading his story, as my own stomach knots up and my eyes fill with tears. So one can only imagine yours and all I can say is, I am very sorry. When a woman becomes a mother, there is this unspoken universal pact that we make with all of the other mothers in this world. We all feel the pain as well as the joy of other mothers. But, here is what I want to say. Ronan’s life WAS NOT IN VAIN. precious, infinitely worthy, and most of all INFINITELY LOVABLE. their own darkness with a vague notion of their un-wantedness. its own physical manifestation in this blog. about us at all– it is about them. It is about ‘the other’. judgement, free from harsh attitudes. and let us delight in whatever path he chooses for himself. Let us love him in all of his being-ness. (Whatever he may be or wherever he may be). Because children are not about us. They have not been born to meet our needs. We have given birth to them to meet their needs. unconditional love and personal growth. With deepest sympathy, Emily and family. i am another stranger who has been following your story. i am so so so very sorry. thank you for sharing your beautiful ronan so openly and so movingly. my heart is broken for you and your family. my thoughts are with you and your family. There are no words, but I couldn’t not leave a note to express how deeply I regret your heartbreak, how cruel the brevity of Ronan’s love-filled life. You are an inspiring mother and the ferocity with which you have faced this agony head-on is inspirational. Thank you for sharing that which is so painful, I imagine it might have been easier not to share at all. You chose to share Ronan with us and we strangers have loved him, and you, from afar. You didn’t have to share him, but I am so grateful you did. Love being sent to you , from my family in Greece…..
We are devastated with your loss…..
You are – and always be- an inspiring mother…. It is so unfair…so unfair. 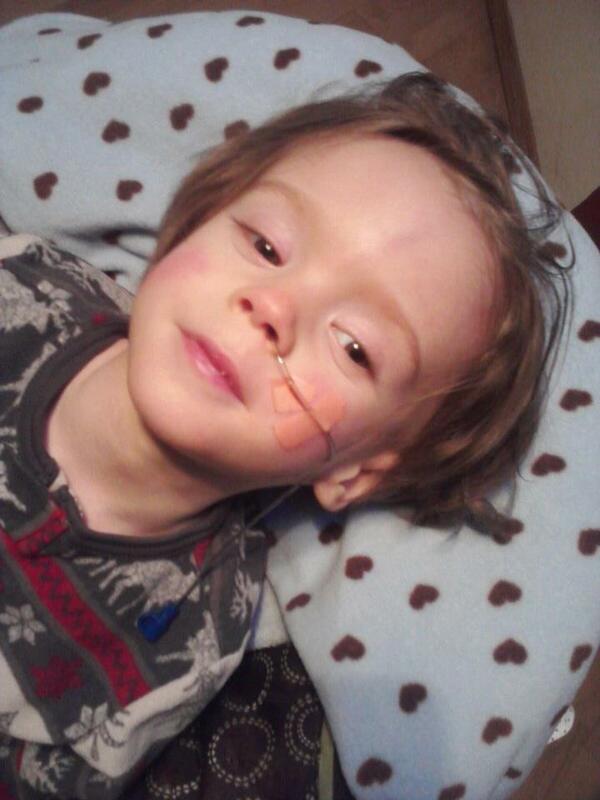 You are so brave to share Ronan’s story with us. I send you all my love and sympathy from Greece. Rest in peace sweet angel. Your “Notes From a Dragon Mom” (in the NYTimes) slapped me upside the head and knocked some better mothering sense into me. It truly put it all in perspective and I cannot thank you enough for your heartfelt and raw words of wisdom. I think about you and Ronan often and am so very sorry for your loss. What an absolutely gorgeous child. My father passed away on February 15th…please know that Ronan has a US Marine watching guard over him. Thank you for sharing your story. I hold my children tighter and longer today. Your strength is enlightening and I’m a better father just looking at Ronan and hearing his story. Now the mess my son just made with the marker on the wall and the cold I’m in the mist of is dismissed. Thanks for sharing him with us..
Pingback: Author Of 'Notes from a Dragon Mom' On Her Son Ronan, Her Memoir And Grief - Freshwadda Brooks | Coming Soon! No words. I cannot breath. I don’t know you and I hurt so badly for your family and Ronan. What an inspiration your words and love are. There is so much love in all this, your writings, the pictures which show moments of this gorgeous little boy, that I could literally feel the strength of it, feel it emanating between you. So I’m sure you both, and all those who loved him and love you and his dad, exchanged so, but so much preciousness and love, and that few things, if anything, in this world can come close. Thank you for sharing Ronan. Ronan is beautiful. His story has shattered my heart and my false sense of security. I saw you on the Today show and sobbed. I read Still Point of the Turning World and sobbed some more. I feel grief and sadness over the loss of Ronan. You are in my thoughts, and I am a witness to your journey. Thank you for sharing yourself and Ronan and for raising awareness of Tay Sachs disease, which I had not heard of before. Thank you also for teaching me the lesson of living in the present moment. No eloquent or articulate words here…just an silent pause, a deep sigh, and an aching sense of sadness. I have thought about you and Ronan – often – ever since reading Dragon Mom. Have been dealing with a lot of life-changing stresses over the past year myself, and have often turned to your blog and writings for strength and perspective. Your Ronan was/is so precious and beautiful. Please take comfort in the profound awe/love/admiration that so many have for you and your Little Seal. Emily, I have read your book and looked at many pictures of your beautiful son Ronan. His story, and yours, has touched me very deeply. I am 38 years old and 6 years ago, I lost my 27-year-old brother in a car accident. We were a very close family and it changed everything for our family and me. I have often sat and thought about the grief that I have experienced even after almost 7 years (in June) of his death. At first when he died, I was comfortable crying and talking about him and going on and on about how unfair it was to lose him and how I wished that I had gone to this place or that place when he had asked me to but I was just too tired from work or LIFE and I felt so guilty that I hadn’t just gone. After the years passed, I began to feel embarrassed to talk about him or to weep at his memorial video because everyone around me tells me that it is time to move on. Even now, I can’t hold conversations about him without my voice cracking and my eyes tearing up and this surprises people and prompts an immediate “I’m sorry for asking” response. It is almost as if, I am a freak for still feeling teary eyed and not being able to speak when I hear the song “Sailing” by Christopher Cross or “Somewhere Over the Rainbow” by IZ, both of which are included in his memorial video that plays in my mind at least one time each and every single day of my life. The first time I saw your story last week when I was trying to take a break from doing schoolwork on my Master’s degree in Psychology (go figure) and on which I wanted to surf the net and try to relax a little after school work and actual work work. I noticed on the side of my computer, after Kim Kardashian pouring gas with her “baby bump” and some other utterly STUPID celebrity news (which normally disgusts me and makes me think of how stupid it is that these people are actually “news” made me even more angry after I read your story), was a picture of a really cute kid; the picture was very small to me but I could still see that he was super cute and smiling. He looked to me just like my son, Ayden Michael. It made me curious and, honestly, I thought that I was going to read a story of something much different than the story I read. I read Ronan’s story and then I sobbed. Thinking of my own son, not much older than Ronan (he just turned 4 in March). Here was your “little seal” and my “little fire.” I can go on and on about what this story has made me feel deep inside and what it has made me question and change about my own life, but I simply wanted you to know that this story touched me and made me feel less alone in my own grief regarding my brother’s death. I like that you discuss the fact that no one’s pain should rank higher than anyone else’s. For years, I have heard “I am so sorry” but I have also heard “Your mom and your dad must be devastated.” Even I have felt guilty about my feelings and that maybe I shouldn’t feel “as sad” as my mom or dad but I now realize that no one’s grief is more than anyone else’s. It is, as you mention, not to be ranked. It is grief and we all feel it in our own way. In your second to last chapter, you say that you know that in your last lucid moments of your own life, you will see Ronan’s face and wish to hold him one more time. I, too, have said that I know that I will never forget my brother and will see his face right before I go on to the next world. I think all loss is difficult and we all have a part in it whether we are a mother, father, sister, brother or a friend. This story touched me and I can tell you that I have sobbed and sobbed thinking about what you must be going through and what your family is going through as well I do not envy you your journey as I have walked through my own and it is downright awful. This has never happened to me before with a story that I have read like this so I felt compelled to write this message. I also have taken some very valuable advice from your book and Ronan’s story and vow to push myself to live by it, which is as you mention, to live now and in the moment with my children and love them for who they are, right now, today. I also took much more from this love story of yours with Ronan. I thank you for Ronan’s story; for your story; for a new chapter in my own story. What a beautiful boy…my heart aches with you. You and your family are in my thoughts and prayers. Bless you. as a woman, as a mother, my heart breaks for you. i have followed your story and ronan’s and always held on to hope that some miracle would find you. thank you so, SO much for sharing your story. i send you love, peace, and comfort. Your son is so so beautiful. You are so courageous to keep breathing now, after he has stopped, and to manage to talk, even give interviews to strangers about your boy. Ronan has one strong mama. His spirit is surely here still.. I feel it in his sweetness which is so evident just from these photos. I’m so sorry for your family’s suffering. I will be thinking about your beautiful child for a long time. Such a bright light from such a short life. Thank you, Little Seal, for the lessons you taught so many. And thank you, Emily, for sharing this incredible journey of unconditional love through unimaginable grief and pain with all of us. I never met Ronan, but I’ll never ever forget him. Emily…your book was wonderful. I’m finding it hard to move on without more from you. I hope you are finding peace and love; I hope you share that too. Thankfully, Ronan will live in many hearts because of his brave and gifted mother. Such a beautiful little boy. I don’t know what ‘fair’ is, but this was not. Godspeed. Dear Emily, as I read your blog my both my heart and soul are filled with sorrow, love, admiration and inspiration. I thank you, Ronan(may his soul rest in peace) and your family for sharing these moments. My deepest condolences go to you and your family. Your story of your beautiful son and the short life you shared with him helped me in a way that I never thought it could. I am so very sad for your loss, and pray for strength for you and your family. My daughter has been grieving for the two babies she miscarried; it has been two years for the first baby. I kept telling her it was time to move on and that she will have a chance to be a mom again. How rude and insensitive of me to tell her those things. I have to let her grieve in her own time, who am I to put a limit on how long she should grieve? I need to stand beside her and lend her my strength and love when she feels she cannot carry on, I need to be a better mom to her, I need to listen to her and help her through her pain of loss. Thank you for sharing your story with all of us, I would have given anything to hold your son in my arms and to feel the love that you shared with him. You are very lucky to have had the time you did with such a handsome boy, and God gave him the best parents he could find. I am so sorry for your loss. Ronan’s story has touched me in so many different ways, I cannot explain it in words. Hope you find peace. Lamento profundamente lo que les tocó vivir. Yo perdí un hijo…entiendo tu dolor. Las palabras sobran en casos así. Tu lo único que quieres es un abrazo, No sermones de los que Dios planea para tu vida. Sólo quieres que te entiendan y sentir que no estás sola en esta gran pena. Un fuertísimo beso y abrazo a la distancia…y con respecto a Dios…aunque no entiendo cuales son los planes que tiene para mí…sigo aferrandome a Dios con fe…Jesús prometio volver…y volveré a abrazar a mi hijo…1 Tesaloniceses 4:16, así lo dice. Esta palabras biblicas están escrita en la tumba de nuestro hijo. I just finished reading your beautiful book about Ronan. I have such admiration for your strength and courage in the face of unspeakable loss. Thank you for sharing your beautiful son’s story. May his memory be a blessing to you and your husband. I think about you and Ronan so often, unimaginable this. I hope you can find moments without sorrow, and can sense the love out here for you and your family and your beautiful boy. I am just another stranger, mom of 3 beautiful kids, who has been deeply touched by your words. I am venezuelan and english is not my native language so I find it difficult to express what I have been feeling for the last 10 days. I read about your story in CNN on March 27th after little Ronan said good bye……that led me to your NYTimes piece about dragons moms. I kept reading, I found your blog …. I read The still Point….I read many pieces from your writer friends….. I have been crying on and off all the time, I have felt empty of feeling and and the same time full of a different kind of grace. Everyday I wake up , the first image that crosses my mind is Ronan’s sweet, sweet, peaceful face and his eyes full of light. To honor beautiful Ronan I have purposefully decided to be present for my kids, and my loved ones. Everyday I say to myself I am going to be a better a human being , a better mom and I have to do this for little Ronan, to honor him. Emily, I do not know how you did to write the indescribable , there are no words for what you passed through, yet you found the words, and they have touched me very deeply. I have been looking for I do not know what in budhism, yoga, philosophy …… but it’s been your words and Ronan’s eyes that will stay with me forever. There’s nothing that can mitigate your pain but I just wanted to tell you that I send love to Ronan with every step I do. So very very handsome. I found your blog very circuitously. I just cannot get over what a beautiful child this is–I keep looking at the last pic you posted. His lovely body was a vessel for an even more beautiful and precious soul. i cannot offer you any words that would help lessen your pain, ease your mind…but I can hope that each day you will find a moment of peace. And each day the moment of peace will get longer. And each day you will find some comfort. LOVE to you from this mother’s heart. swojego pułapu skulonego w łozach. Sprężył się do ucieczki. Thank you so much for sharing your experience with everyone. I lost my child at 30 weeks gestation, very unexpectedly and the reason is not known to this day. I so much agree nobody knows for sure what happens next and a person sometimes has no choice except for to go though that experience. I have been a mother without a child … too. Wishing you lots of love and support from people around you. I feel so sad about your son. Ronan, we miss you. Emily, hugs to you and your family and friends! hugs emily i hope you and your Family found smiling again. Thank you for sharing the beauty that was your son. His memory will live on in all of us now. Thinking about you and letting you know that I remember sweet Ronan. I’minchilddevelopment and our class had to find a birth defect and i picked tay sachs once started writing stuff down I started crying cause it would be so hard to go through that and just wow . I looked at Ronan , and I started balling, which I still am . its so sad even though this happened last year, its still very tragically till this day . my prayers are with the family.